There are “Things to do in Columbus, Ohio ” in April 2013. Tonight is ‘Dog’s Night Out at the Powell Graeter’s. Perhaps the event is at other Graeter’s in central Ohio? The first Thursday of each month is “Dog’s Night Out’ at the Powell Graeter’s, I saw it on Facebook today. Tomorrow, Friday April 5, 2013 is opening day at Star Lanes Polaris. “Hey Short North Arts District – Show us your Gallery Hop! Follow us on Instagram @shortnorthartsdistrict and post your pics taken in the District this Saturday night for your chance at a Short North prize pack. We want the artistic, the flamboyant, the whimsical and unbelievable. Warm-weather Hops are finally here so let your freak flag fly! Sunday is… No I am not going to go through all 30 days in April 2013 and name an event. 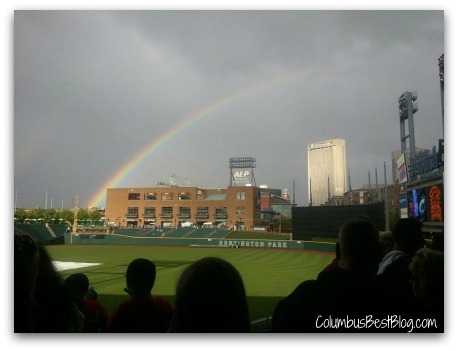 The Columbus Clippers Home Opener at Huntington Park is next Thursday, April 11, 2013. First game tonight in Indianapolis, right? Also at Huntington Park, a Celebrity Chef event for Capital Area Humane Society on April 18 at Huntington Park! Sunday April 21, 2013 Short North Gala, a culinary event. Earth Day… It’s way more than a day! Sunday April 21, 2013 is a race, Premier Sports Earth Day Challenge Where? Kenyon College in historic Gambier Ohio… that is a little far out, but it is still central Ohio.